Ashro Cnc Ltd specialise in Sub-contract CNC Turning/ Milling and Broaching. We have been producing quality machined components since 1999 and are recognised as a reliable source of component manufacturing. We use the latest CNC machines to deliver quality precision turned parts and machined components. This enables us to keep component costing competitive, quality high and enables us to deliver your products in the fastest possible time. 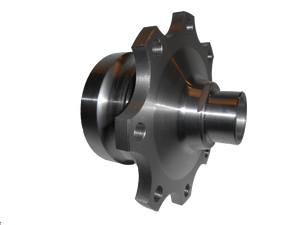 We offer a fast turnaround for machined parts required in a hurry. Our production operation is flexible enough to allow us to schedule urgent jobs at short notice. For example, if you have a critical component breakdown we will always endeavour to get you up and running again as soon as possible. Using the latest CAD software to produce a technical drawing, we can create your machined parts accurately and cost effectively. Talk to us about your individual requirements; provide us with a simple drawing or bring in a part and we will produce a finished technical drawing ready for machining. From 1 off prototypes to high volume. All the materials we use are fully certified. Click Here to view our some of our Services.